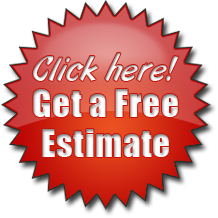 A large percentage of the roofs that we replace are due to poor installation practices. How a roof is fastened is critical to the longevity. Whether due to wind or just simple gravity an improperly nailed roof is doomed to fail. Much of Discount Roofing’s repair work this year has been as a result of these towering giants beginning to lose limbs that fall onto homes puncturing roofs and crushing anything else in their path. Inevitably, sooner than later, their larger counterpart (The Tree Itself) will follow. In 1995 I placed the first official advertisement for Discount Roofing in the service directory of a small Texas newspaper called The Conroe Courier. Since that time we have seen hail storms, hurricanes and a booming construction market that have come and gone but the special relationships with customers remain. Thank you for doing such a great job. Eric, Thanks for a job well-done. Feel free to use me as a reference. Thank You, Eric Great job and for the price!! Thanks Eric, You did a great Job. Discount Roofing is an excellent company. They charge fair prices and give more value than they promise. They are very honest people and know a lot about construction. They have good funding and would not accept money in advance. They did a very complicated job on my home and the results were excellent. I hope they stay in business for a long time because if I need more work, these are the people I will hire!!! Eric, Thanks for fixing our roof. © Copyright 2019 - Discount Enterprises, LLC.